You are very perceptive Mr Einstein. It doesn’t seem long since last season. Dancing (shuffling in my case) at the area awards dinner dance in July, the hot summer, harvest time, and here we are under starters orders again. Back to the future. THE Devon & Cornwall area hosted the earliest ever start to the British point-to-point season at Buckfastleigh on Sunday (18 November) with the joint fixture of the Silverton & Mid Devon Hunts. Six competitive races featured a double for jockey Tom Chanin, each trained by his father Robert at Thorverton. The Chanin double was initiated by Druid Spitfire who stayed on well to take the Restricted. This sturdy nine-year-old had joined the Chanin yard in March and promptly won a Maiden at Kilworthy. He was bred by his Ashburton based owner and former trainer Elisabeth Kessler. “I wasn’t sure how fit he was today and was a bit worried when he was left in the lead a long way out. We had not been able to work on grass until last weekend,” remarked the trainer. The Sue Trump owned six-year-old Broadclyst had to pull out all the stops to complete the stable double, holding off Pointview Gale by a head in the Exeter Racecourse Intermediate. Tom Chanin’s mount had to survive a stewards’ enquiry after edging closely towards his rival up the run-in after the pair had drawn well clear. Broadclyst had created a favourable impression when winning the first two races of his career at Wadebridge last season, but was sidelined with a foot infection after his next outing. Navanman produced an accomplished display of jumping to win the Mixed Open. The John Heard trained nine-year-old shook off a gallant challenge from the runner up Prince Mahler in the closing stages to score by six lengths under 20-year-old Bryan Carver. “He picked up well when I asked him down the hill,” remarked the rider, who is the reigning Devon & Cornwall Area champion novice jockey and now works for Paul Nicholls. The Open Maiden for four to six-year-olds attracted a field of 14 with the finish dominated by the eventual winner Tide Times and neck runner up Skinflint (Jo Supple). Four-year-old Tide Times was making his racecourse debut for Jill Dennis and reaped the benefit of a patient ride from Jake Bament, coming from behind with a strong run to challenge at the last. The 22-year-old Barnstaple based rider has now left full time racing to join the bricklaying trade, but gained plaudits from winning connections as he schools and rides their horses. “They went quick enough and he got into a nice rhythm,” reported Bament. 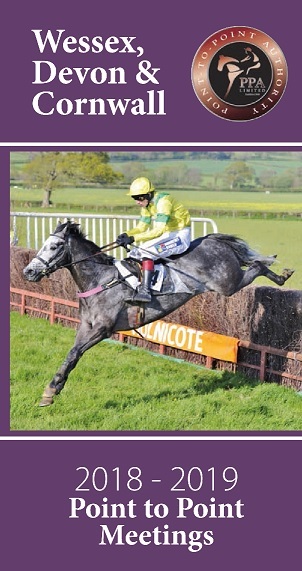 An attractive grey by Vinnie Roe, Tide Times was bought as an unbroken three-year-old at the Tattersalls Ireland sales in August 2017. “He could have run towards the end of last season but it was a bit too firm. He is a bit stronger and goes nicely now at home. He may be turned away now,” said the owner. Road to Rome landed some hefty bets in the three miles Open Maiden. Backed down to odds-on favourite, the winner was always travelling strongly under Tommie O’Brien and drew clear of Banco De Logos (Darren Edwards) round the final bend to score by seven lengths. Joe O’Shea trains the former chaser at Nantwich, Cheshire for owner Graham Briscoe, and was on the road in the middle of the night for the 230 miles journey to Devon. Road To Rome is by the top class sprinter Choisir and has been placed in a bumper and over hurdles and fences. 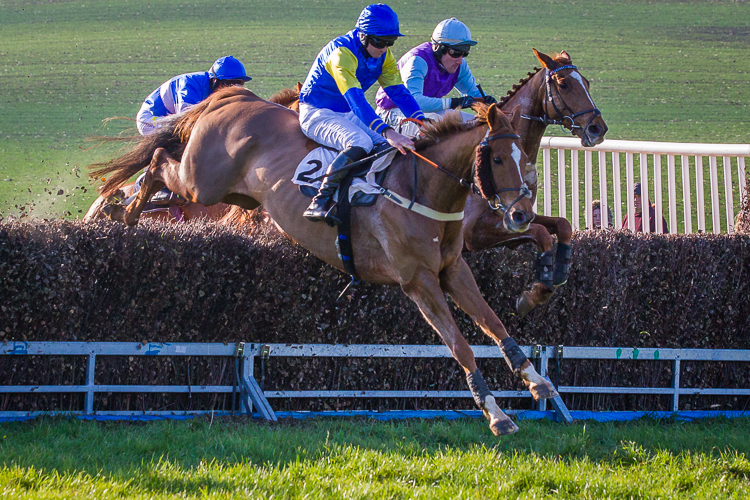 He seems to stay well and could be worth bearing in mind for hunter chases in the spring. Blackwater Bramble (John Smith-Maxwell) and Heaney (Millie Wonnacott) flashed past the winning post together in the Conditions race, with the verdict going to the fit looking seven-year-old Blackwater Bramble by a diminishing neck. “We bought him at Ascot sales in June as a family pointer. 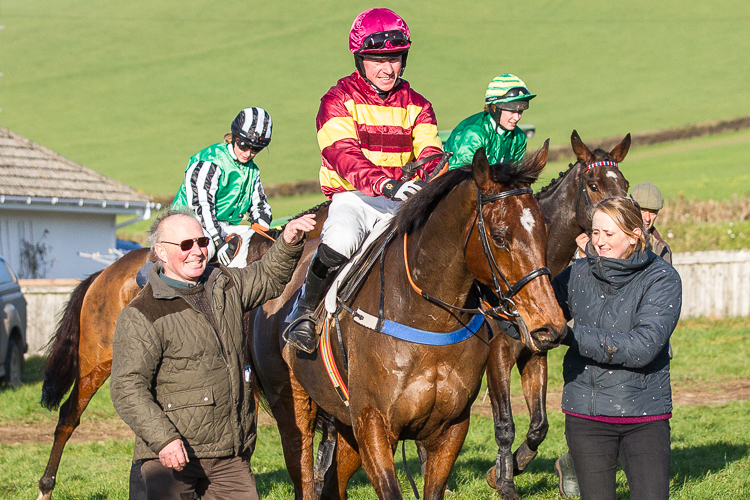 We all have great fun point-to-pointing,” explained licensed trainer Alex Dunn, based at West Buckland near Taunton. Jockey John Smith-Maxwell is the trainer’s brother, and is currently studying rural land management at Cirencester. A good sized crowd enjoying the watery November sunshine welcomed the new season with almost seven months of point-to-pointing to look forward to. 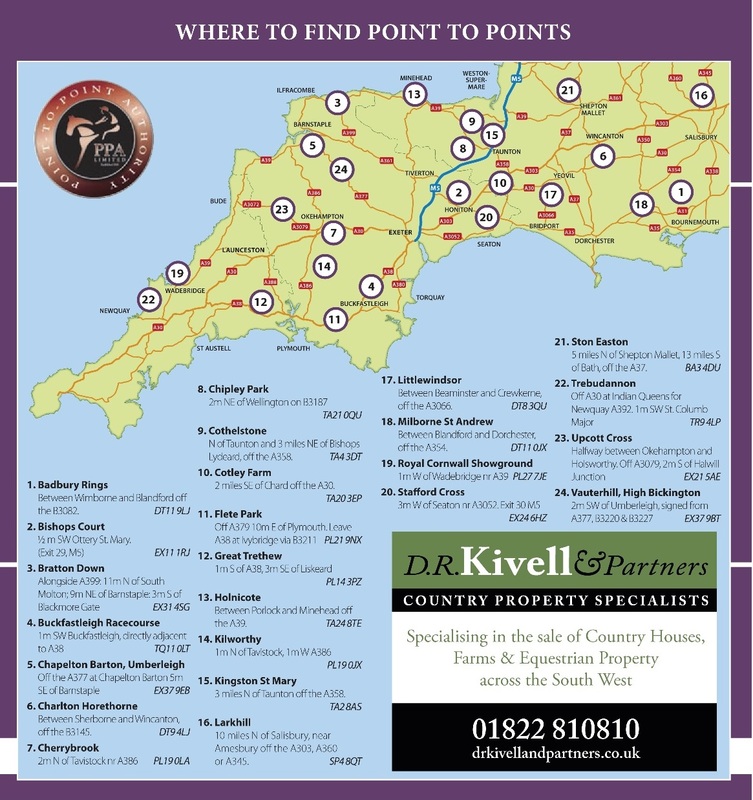 Sunday 18th November 2018 Silverton & Mid Devon Joint Buckfastleigh Racecourse TQ11 0LT 1st Race 12 noon.